Coral stone tile is a popular choice for home and business owners alike. As a general contractor or designer, you want to share this trendy yet timeless option with your clients. However, you need to have a supplier who can keep up with the demand, provide you with high-quality tiles, and help you keep your supply costs in line. This is why builders across Southern Florida and even the United States turn to Nalboor Tiles. We have the selection and quality that you demand at prices that will fit your balance sheet. Many homeowners in Florida feel that their home is not complete without a pool. They want the pools to be attractive as well as functional, and you can make those dreams come true with coral stone tile. While concrete was a standard option in the past, modern clients are looking for something more upscale. Coral stone delivers the slip resistance of concrete along with a tasteful finish and soft color. They can be used throughout the outdoor area, and you’ll impress your customers when you point out that the consistently wet surfaces will be safer when finished with coral. We offer wholesale pricing and bulk discounts. Just give us a call today to discuss your order and see how quickly we can have the coral stones at your job site. If your customer decides to expand the pool area in the future with an outdoor kitchen or an arbor, you can turn to us for another order of beautiful tiles that will match your existing ones perfectly. Coral stones contrast nicely with grass, mulch, and even river stone. Use it to update your clients’ landscaping and make your work stand out from the competition. Scatter coral stone tiles in the yard for a pathway that leads through the garden, a welcoming entrance to an oriental garden, or even as a seating area. Your customers may express a concern about the tiles cracking with time. This is unlikely with Nalboor Tiles because we handle our own manufacturing and take steps to deliver consistent tiles that are thick enough to handle regular foot traffic and outdoor use. We also maintain a steady inventory of coral stone tiles, so you can order replacements at any time. If a potential customer expresses concerns about getting new tiles down the road to replace any damaged areas, you can assure them that it won’t be a problem with Nalboor by your side. We make it easy for you to expand a project, add on to an existing one, or update an older space by providing you with matching tiles at any time. Coral stone is commonly seen in the great outdoors, but it’s also a great choice for interior applications. When working with older clients, point out how a coral stone shower basin will be safer for them in the long run. Coral stone has natural dips and crevices that create traction without surrendering style. The result is a flooring surface that’s comfortable under bare feet while still being relatively slip-proof. If your clients want contrasting stones on the shower walls, then we can also help you with that order. Coral Stone features a mixture of tans, beiges, and browns that work beautifully with Adalia Cappuccino marble tiles or even Breccia Oniciata marble. We carry a range of natural stone options so that you can customize every project to suit the specific needs of your clients. Your customers may not know how to properly care for their new natural stone finish. By providing them with maintenance tips and tricks, you can show them that you truly are focused on client satisfaction. Coral Stone is naturally porous, so it does require some special care to prevent cracking and staining. Our Penetrating Sealer Porous Plus is specially designed to prevent stains while creating a more slip-resistant surface. Ideal for interior and exterior use, it’s also safe for food areas like kitchens. Completely UV transparent, it won’t change the color of the stones and will help the stones look like new for years. This VOC-compliant product can be applied to the stones after installation, and you can leave some with your clients so that they can reapply the protective surface annually. This simple step can also help ensure that your customers are pleased with the finished product now and in the future. As a contractor, you’re constantly watching out for your bottom line. We understand that you need to keep costs in control, so we offer wholesale pricing with the convenience of a local brick and mortar store. You can also place orders online while still enjoying the same low pricing. In addition to wholesale rates, we also have special pricing available for bulk orders. 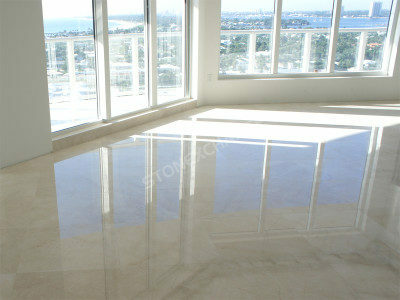 This allows you to save even more when you schedule several jobs that will use Coral Stone tiles. You can order the tiles in bulk and then store them in your warehouse until they’re needed. We take pride in our consistent manufacturing, so you can trust that your every tile will feature the same high quality and look that you’ve come to expect. Builders throughout the Southern Florida region turn to Nalboor Tiles because we can fill orders quickly and help them save with wholesale pricing on high-quality tiles. We take pride in our work and in our excellent customer service. We make it easy to place orders by letting you order online, by phone, or in our South Miami warehouse. View our selection and learn more about the different natural, porcelain, and tumbled tiles that we offer. Contact us online, give us a call today at 305.501.4548 to speak with one of our representatives and get your order started.